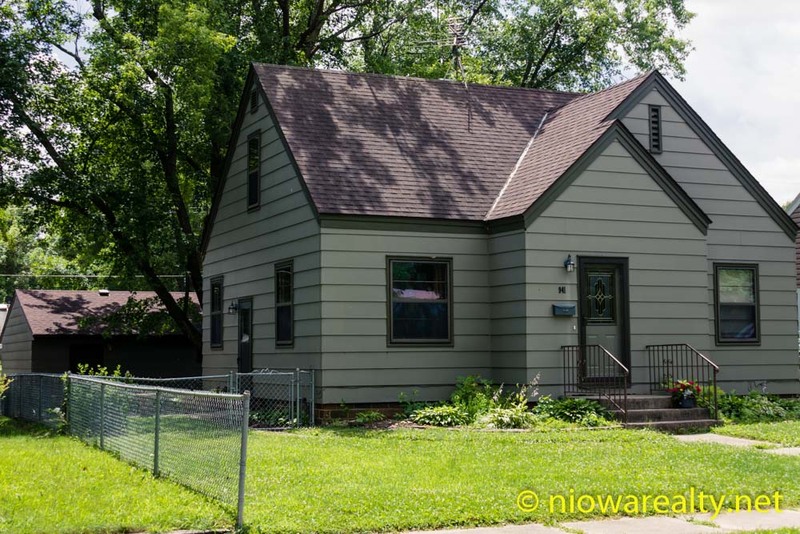 Share the post "Developing Passions"
Just this afternoon I received a major price reduction on 941 – 11th St. NE here in Mason City. With the price being dropped $11,000.00, it is now down to $98,500.00 and certainly well within the range of buyers looking for a 3+ bedroom home with a monster garage that’s within walking distance to the swimming pool, Harding School, and East Park. Since it’s painted a darker green on the outside, it leaves passers-by to believe it’s smaller than it really is. Another feature that’s a real plus with this home is that there’s a larger bump-out in the kitchen/dining area offering added room. The basement is partially finished which will make a great get-away to cozy up during our long winter nights. When I first inspected the property, I was exceptionally impressed with the open staircase along with the amount of room on the 2nd floor. There’s a very large patio area to the rear along with there being a fenced yard. With the size, condition, features, location and price, I don’t think a buyer could do any better than this in the under 100K price range. Click on the link below to view this listing.